Another low-profile Gujarati billionaire pharmaceutical tycoon is Dilip Shangvi, who started Sun Pharmaceuticals in a most humble way and now, with the acquisition of Ranbaxy through share swap, his business entity is India's most valuable pharma entity. Sun is now the fifth largest pharmaceutical company of the world and India's largest pharma company (both by sales revenues)!! Both of above success stories do not have big time qualifications or other cerebral attitudes, yes, they are smart... undoubtedly! They have all the popular leadership qualities: including, ability to lead people, have an empowering vision, create shared values, take courage, give confidence, and inspire/make ordinary people to do extraordinary things. But do these two success people have a code or formula for their success? There is a formula and this "success magic potion" is based on a particular type of energy, which can be called as EMOTIONAL ENERGY. Energy is the capacity to do work. And emotion refers to a strong feeling. Enthusiasm, passion... are related to high emotional energy. When people face daunting circumstances, they actuate and overcome such challenges thanks to their indomitable emotional energy, which drives them to work steadily and positively. Emotional energy is a treasure. It is something, which makes people work overnight to achieve some target, it is the driver for making things happen. It is the force that makes lovers work for each others' welfare. Emotional energy is infectious. When, Modi tapped the emotional energy of voters, most of them came out and voted, it increased voter turnout percentage to record levels!! The root of achievement and success is emotional energy. Verily, emotional energy is the true energy of success, life and happiness. Unconditional self-love (self esteem) is the source of emotional energy. This helps us love oneself inspite of what we are, and this will in turn help us love others inspite of what they are, it helps in relationship management and for win-win relationships. Unconditional self-love is a great trigger for having healthy relations with others. People like Mr. Modi and Mr. Shanghvi have firm devotion to work and success, yet what distinguishes them from others is the tremendous comfort level with oneself and ability to relate with others. When a person is comfortable with oneself, it helps a person accept another individual unconditionally, and ensures communication (messaging) is effective. Pharmaceutical business (managing issues and relationships with doctors, partners, peers, employees, subordinates, superiors, and other market operators) involves communication (messaging) and negotiation (bargaining, give and take, finalizing deals...) so that common ground is found and business transactions take place. Communication and negotiation is not a one-off thing, it is a continuous process. The bedrock of communication and negotiation is the rocket fuel called enthusiasm: intense positive emotional energy. Mr. Modi addressed five meetings in and around Tirumala (a temple town) without any food... he worked relentlessly in an indefatigable manner, the source code for this is unconditional self-love and the emotional energy resulting thereof. If a medical representative or pharmaceutical manager firstly loves him/herself, it gets translated into bumper emotional energy. The MR or manager will find himself energetic and most importantly he or she will get the confidence to deal with people. After all, people do business with people. Communication and negotiation are the life-breath of business activities. Success in business comes through these processes, which finally depends on unconditional self-love and the resulting emotional energy. Business is done for positive change: progress. The vendor wishes to offer his ingredients to the formulator, and the pharmaceutical formulator/marketer is looking for progress in sales through win-win relations in the market place. Doctors and pharmaceutical intermediaries help the pharmaceutical marketer obtain progress (positive change). This progress depends on self-esteem, emotional energy, communication and negotiation. Progress is a satisfying experience. It reinforces self-esteem, creating more emotional energy in the individual, this helps in communication, negotiation, change and progress. The cycle of success goes on. 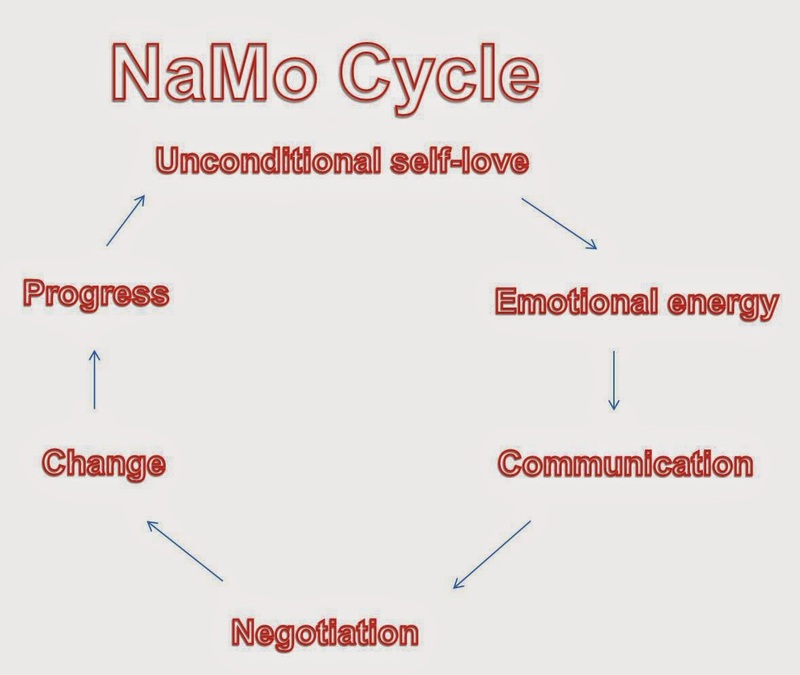 The above elements of success are summarised in the graphic depicted below the photo of Mr. Modi (top): The NaMo Cycle. The greatest contribution of Mr. Modi is the magic he has done to the self-esteem of all Indians. There is hope, and Indians are motivated to achieve thanks to modimagic. Modinomics is not important it will follow, modimagic is crucial, it will rub on to all Indians, undoubtedly next decade: is the INDIA SHINING DECADE, thanks to modimagic. I specially thank: Ms. Li Thi Huyen Trang, Ms. Phuong, Mr. Le Ngoc Tien, and his manager (unfortunately I did not collect her name), Mr. Nham Thanh Tung and many others for facilitating me and my colleague during our stay at Vietnam for our professional duties. God Bless Them All. VietNam is now very near in my mind!! 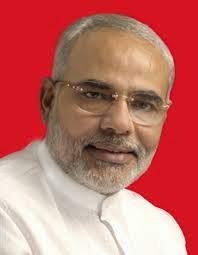 The most logical thing Mr. Modi is doing is cementing communication with neighbours'. It is the most practical and logical thing to do. Mr. Modi will create such vibrations that our business relations with near-by countries and other developed economies will succeed beyond the word: success. It is modimagic at work: The World Is Calling India!! Thanks for reading this blogpost: the trigger for this post was my VietNam experience and modimagic. I hope readers will benefit from The NaMo Cycle. It is applicable to all!! Thanks for reading this blogpost, please scroll down to read other blogposts, please recommend this blog to your acquaintances, click on older posts wherever required to read older posts.